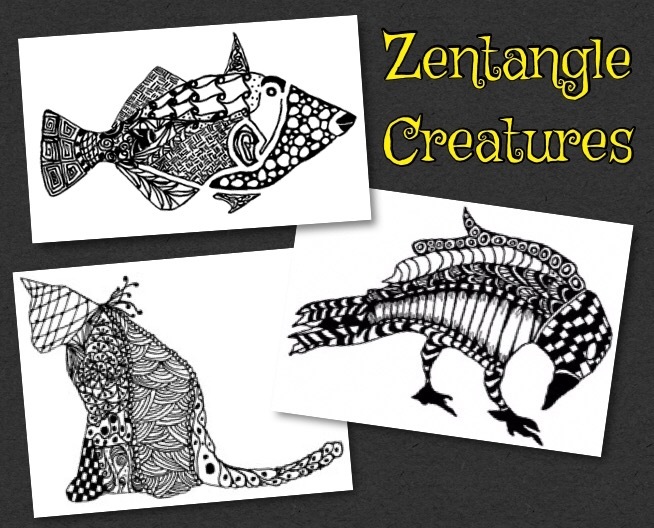 Velvet Paw Creations: Zentangle Creature Cards - Lost Coast Designs News Stamp Showcase Day 3! Zentangle Creature Cards - Lost Coast Designs News Stamp Showcase Day 3! 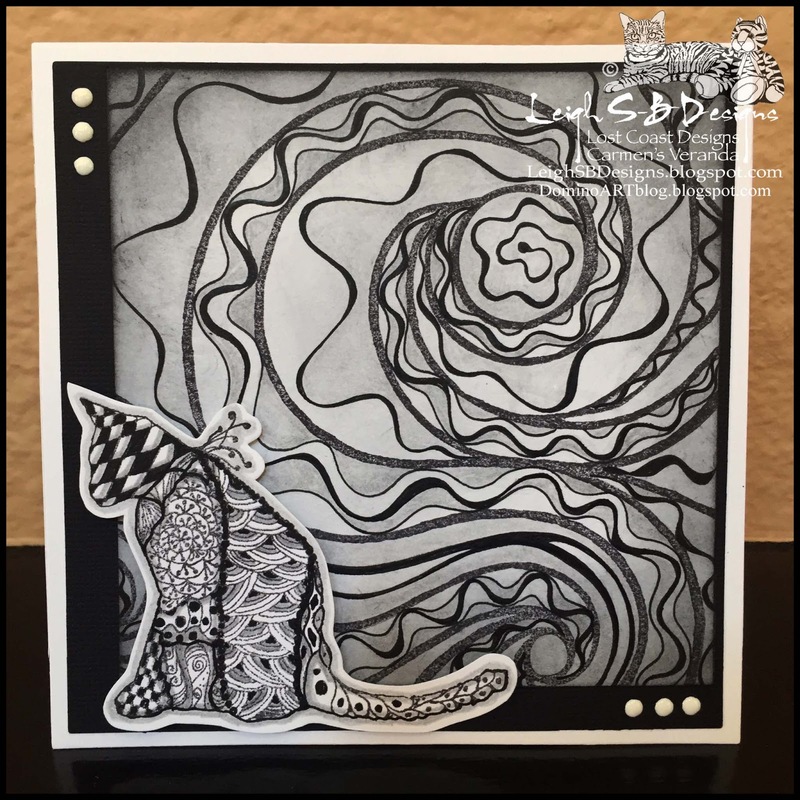 We're showcasing all the latest additions to the Lost Coast Designs stamp catalogue over at Lost Coast Portal to Creativity this week! 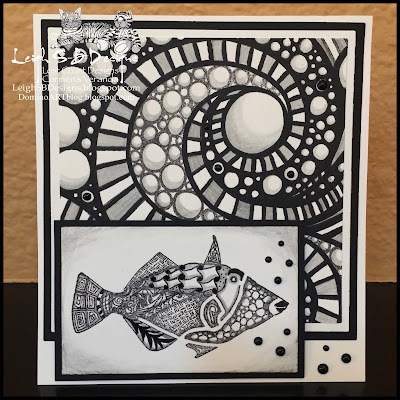 For Day 3 of the Showcase we featured our new ZENTANGLE CREATURES and I made two square cards and again went with the traditional Zentangle style of black and white with shading done with a graphite pencil. 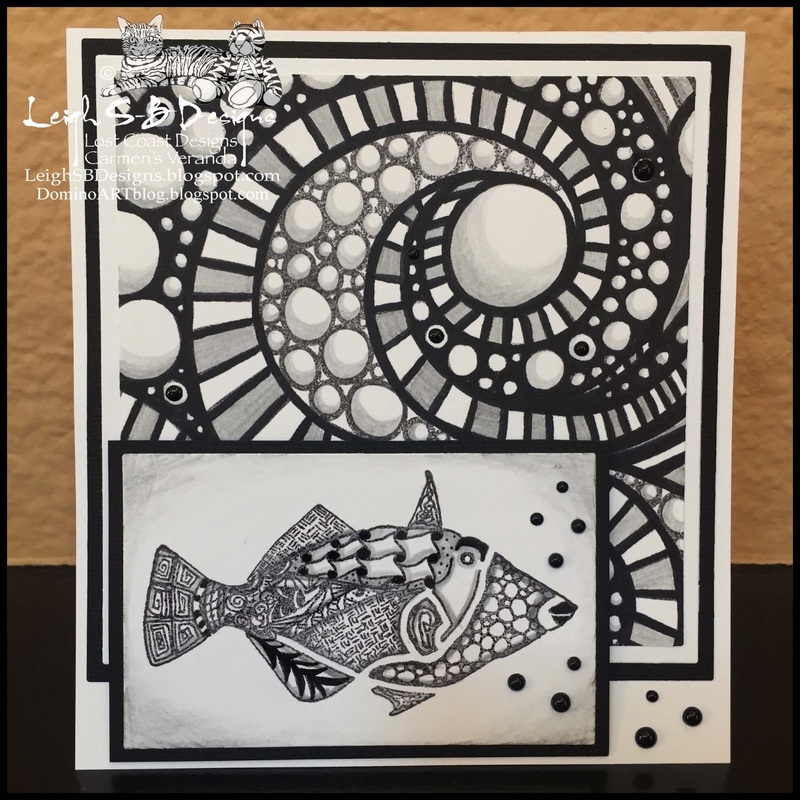 For this one I used Zentangle Square One with Zentangle Checker Fish because all the circles reminded me of bubbles in water. 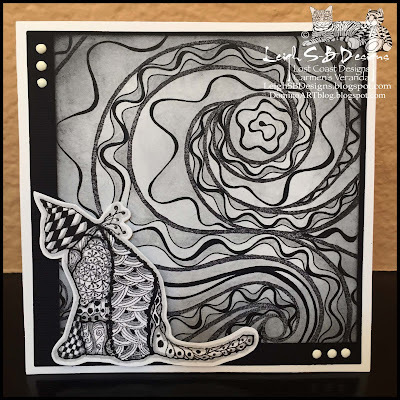 For this one I used Zentangle Square Two with Zentangle Cat because the swirled pattern reminded me of a ball of wool (yarn) and I added in some squiggly lines too. Thanks for stopping by to see my projects today!